This is one admonition you’re used to hearing from your parents and teachers. It also applies if you run for public office whether that be on a local board or for your state legislature. In 2013, seventy years after the Supreme Court decided the issue regarding the pledge of allegiance in public schools, a member of the Arizona House of Representatives introduced a bill to require students to recite the Pledge every school day. Had the legislator simply Googled “Pledge of Allegiance” he would have seen that the issue was before the Supreme Court seven decades ago. The Court outlawed this infringement on free speech holding that the First Amendment allows an individual to remain silent in addition to speaking freely. 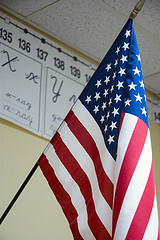 “If there is any fixed star in our constitutional constellation, it is that no official, high or petty, can prescribe what shall be orthodox in politics, nationalism, religion, or other matters of opinion or force citizens to confess by word or act their faith therein,” Justice Robert Jackson stated in West Virginia Board of Education v. Barnette in 1943. Barnette established protection for student rights holding that students could not be forced to recite the Pledge of Allegiance. Schools must allow students to opt out meaning they can stand or remain sitting during the Pledge and maintain their silence. Arizona House Bill 2284 should be withdrawn or allowed to die instead of members spending any time discussing its merits. Each legislative session sees approximately 1,000 bills introduced. The Legislature works toward completing their work in a 100-day period that is rarely met. It is these types of bills that clog the system and detract from considering serious measures meant to improve the lives of the state’s citizens. Is it any wonder that voters reject legislative pay raises each time the issue is on the ballot? freedom of speechjuvenile rightsrights at schoolseriously? !